S3 Skin and Laser are pleased to offer a wide range of medico-beauty treatments, using our specially selected, evidence based skin care products. As skin care professionals, it is our primary role to address our client needs, this includes providing appropriate product and treatment selection and correct aftercare recommendations for maintaining your skin between treatments. 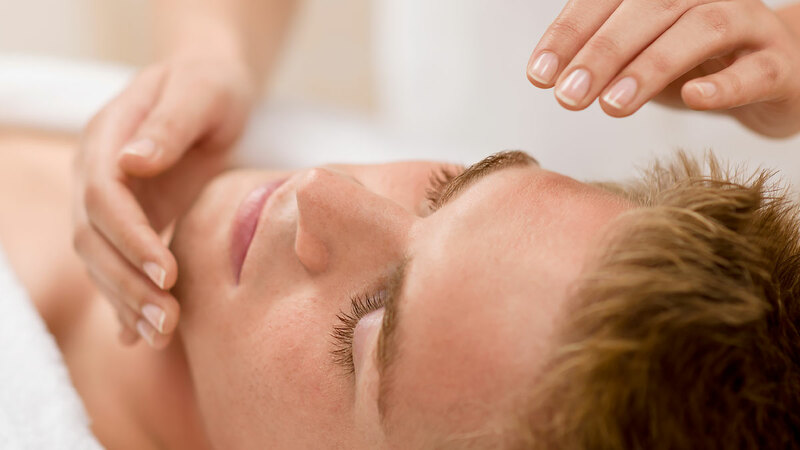 We offer a full range of prescriptive facial treatments, tailored for all skin types including pigmented, photo-damaged, ageing and acne prone skin. All clients, whether male or female, will have a comprehensive skin assessment to determine the most appropriate treatment regime. All of our product ranges have been specially selected as they are evidence based with tried and tested results. They are not only effective but affordable to maintain results in between treatments. A tailor made facial designed to address the specific needs of your skin. The routine will involve cleansing the skin of impurities, desquamation of dead skin cells, steaming and extractions, followed by ultrasonic application of an appropriate serum for targeted action. The use of ultrasound promotes the removal of toxins, aids lymphatic drainage and facilitates the absorption of the active ingredients of the selected serum/mask. This specialist treatment is focused on achieving a cleaner, clearer, glowing complexion and is the perfect introduction to medical grade skincare appropriately selected for your skin type and concerns. A treatment combining the prescriptive ultrasound facial with an additional 30 minutes Diode Light Therapy. Diode Light (red, blue or combination of) has many benefits. It can rejuvenate and develop more collagen fibres- hence improving elasticity and diminishing fine lines and wrinkles. It also promotes cellular growth and assists the repair of damaged skin cells (from pollutants, UV radiation and free radicals). Blue light is particularly effective in treating acne. A treatment providing unequivocal anti-oxidant protection for the skin. Vitamin C (ascorbic acid) is the skins most effective natural anti-oxidant, and is essential for protection against photo-damage and stabilising collagen. Vitamin C levels decrease dramatically as we age, most rapidly in the face and UV exposed skin. The application of an intensive Vitamin C mask, and high strength gingko biloba will leave skin feeling soft and improve tone and texture. Our Naturepeel microdermabrasion system improves skin tone and texture, active acne, pigmentation, open pores, minor scarring, congestion, fine lines and wrinkles by comfortably exfoliating the epidermis with a natural pure salt cleanser. The primed skin is then treated with ultrasound dermaphoresis to stimulate circulation to assist the release of toxins and facilitate the absorption of active ingredients. This element of the treatment will enhance and assist with resolving specific concerns from your skin diagnosis. A treatment designed for rapid recovery of dehydrated skin. It is a hydrolysing technology for intensive and deep skin moisturising. A silk mask soaked in high-end peptides and hyaluronic acid is applied to the face, to re-establish skin moisture and cell nourishment. A perfect treatment after long periods in centrally heated/air conditioned environments, long haul flights, or after other medical treatments such as peels or micro-needling. An effective treatment designed especially for young skins, with emphasis on encouraging a daily skin care routine. This treatment will involve cleansing, exfoliating, and steaming to decongest the skin, followed by 10 mins facial massage to stimulate blood supply and lymphatic drainage and give a glowing complexion. Significant hormonal changes can occur during teenage years, resulting in increased oil production and congestion. This treatment is designed to clean and exfoliate the skin using mild glycolic products. Diode light therapy helps reduce redness, heals damaged skin and kills underlying bacteria, leading to clearer skin. A unique treatment designed to target tired and dull skin. Revitalisation aims to reactivate the skin’s vital potential, helping stimulate and reactivate collagen production and strengthen elastin fibres. This treatment uses Revitaxin in the form of an entirely occlusive mask, delivering a high quantity of active ingredients to the entire face (the equivalent of 5 mesothereapy sessions) Revitaxin helps regenerate skin tissue, boosts hydration and stimulates collagen production. It works as a skin-lifting, re-moisturising and re-plumping radiance booster. Perfect before a special event-your skin will look amazing for 3-5 days. Specific anti-wrinkle care-excellent for maintaining effect of Botox and fillers. A great facial for dimishing the appearance of fine lines and wrinkles by way of causing a myo-relaxation to the elastin fibres in the skin. Silk proteins help smooth lines while powerful antioxidants, vitamin C and E help to hydrate and strengthen the skin. This facial is ideal for maintaining the effects of Botox and fillers. Can be safely used during pregnancy as an alternative to Botox. Includes ultrasonic application of Zen Attitude.